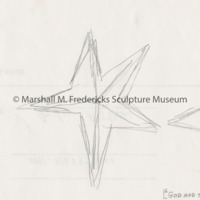 Sketch of star for "God on the Rainbow (Gud Fader På Himmelsbågan)"
Metal 5 pointed star that is gold in color. 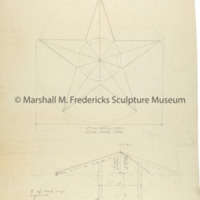 Star was used for the McMorran Fountain. 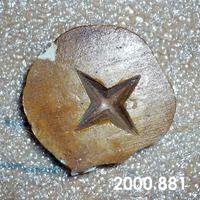 Very small three pointed star mold. 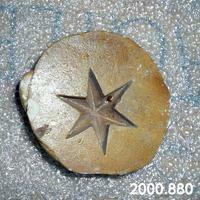 Very small 6 pointed star mold. 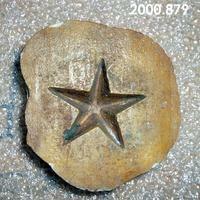 Very small 5 pointed star mold. 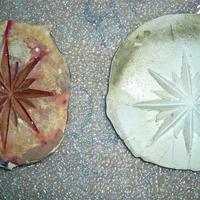 Very small multi pointed star mold. 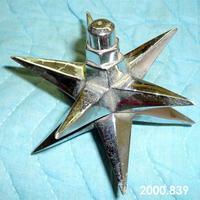 Chrome star shaped spray head for the fountain. 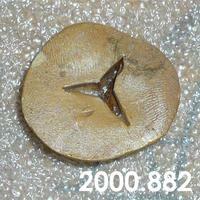 There is a hole through the spray head and a threaded end for attaching to fountain. 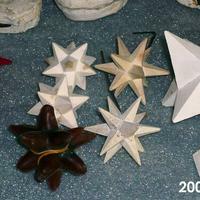 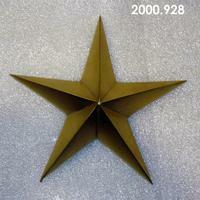 Collection of 1 wax, 2 rubber molds, 2 small plaster, 4 medium plaster, and one large plaster star for various projects.